Nice species name, haha. 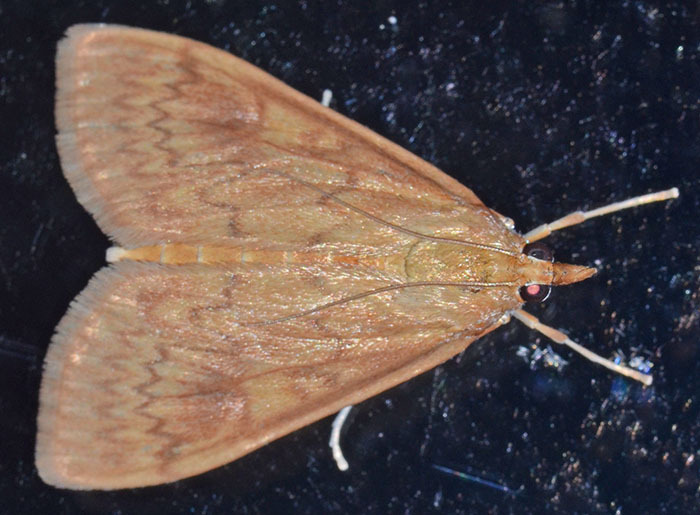 These reddish moths live in marshes and near ponds where their foodplants (American Lotus Nelumbo lutea and smartweed Polygonum spp.) grow. The second link provides information on the American lotus plant.